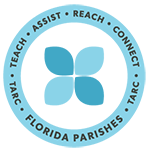 Volunteers make a world of difference to TARC! To find out about specific volunteer opportunities, or if you have an idea that you think would benefit TARC, please give us a call! 985-345-8811. You can also help TARC by donating goods or by becoming a member. Internships may also be available. Please complete the form below if you have further questions or comments.